Without doubt one of the coolest places I have travelled too recently is Amsterdam. A winter city break was just what we needed to celebrate my boyfriend’s birthday in December after all the long hours working in retail during the christmas rush! 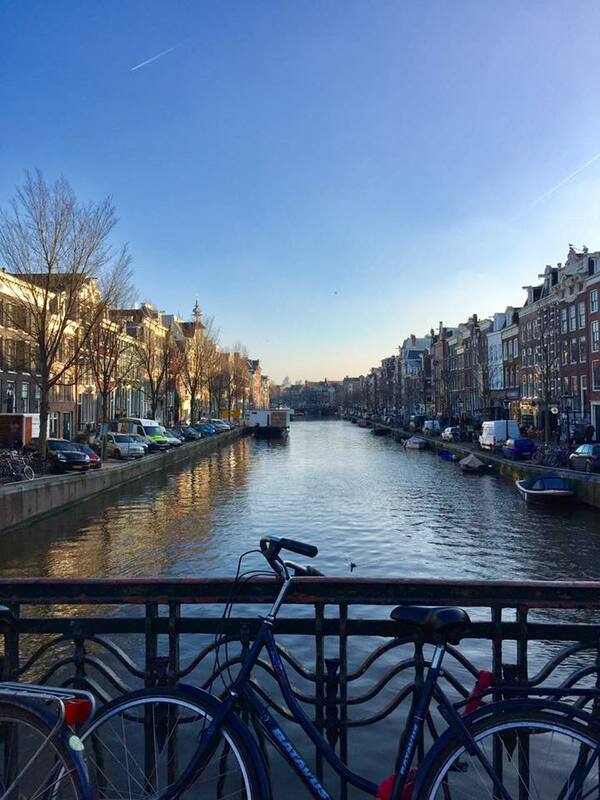 There is so much to see in the city besides the infamous Red Light District, although that is worth a visit for those of you who are curious to visit the Museum of Prostitution. We found that 4 days just wasn’t enough to do everything and I would definitely go back there, especially in summer when you could spend time relaxing in the parks or riding one of the THOUSANDS of bikes in Amsterdam. We stayed in the NH Museum Quarter which was the perfect location for all the museums we planned on visiting during the trip. 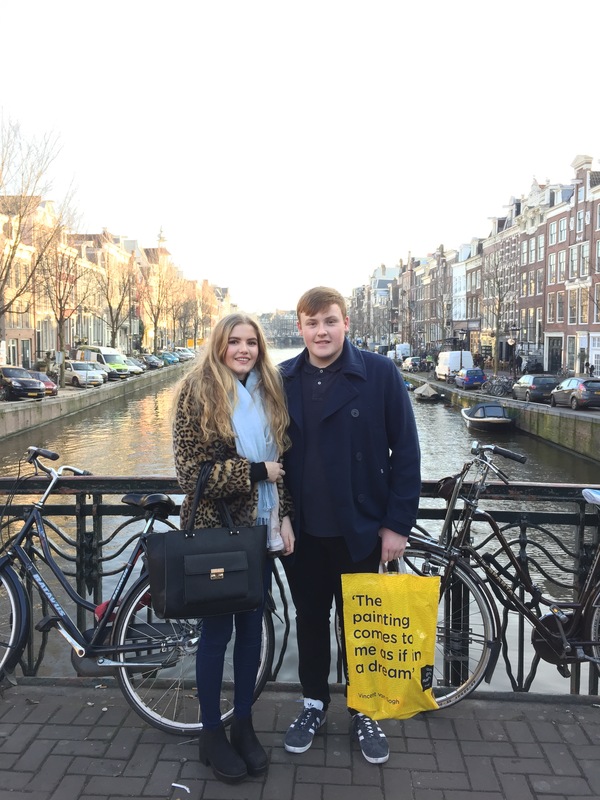 If cycling isn’t your cup of tea (and it wasn’t mine in -5° temperatures, whilst wearing a faux fur coat)it is possible to walk almost anywhere, including Dam Square and all the museums, although after walking 17KM on the first day we were thoroughly knackered. By day 2 we had discovered the excellent tram links across the city which make heading between attractions a quick and easy affair so we could cram even more adventures into our trip. A must visit is the Van Gogh Museum, located in the Museum Quarter, I would highly advise purchasing the electronic audio guide of the museum, although most of the captions are in both Dutch and English, the guide provides a more in depth description of the paintings we think we know so well. At £15 per ticket (pre-booked online) it is a small price to pay to see some of the most famous artwork in the World. A more poignant stop we made on our trip was the Anne Frank Museum (again pre booked online €9) where you can actually walk through the house in which the family hid in the Second World War. The experience was one I won’t forget and I can’t recommend it to you enough if you are looking to find culture and history in Amsterdam. Another great Museum to check out is the Rijksmuseum (Museum of the Netherlands). One thing I will say, which may sound a bit obvious as we went in December, but it was absolutely freezing, so if you are planning on jetting off for a weekend away this winter- wrap up warm, I’m talking hat, scarf, gloves, fur coat, thermals the lot. 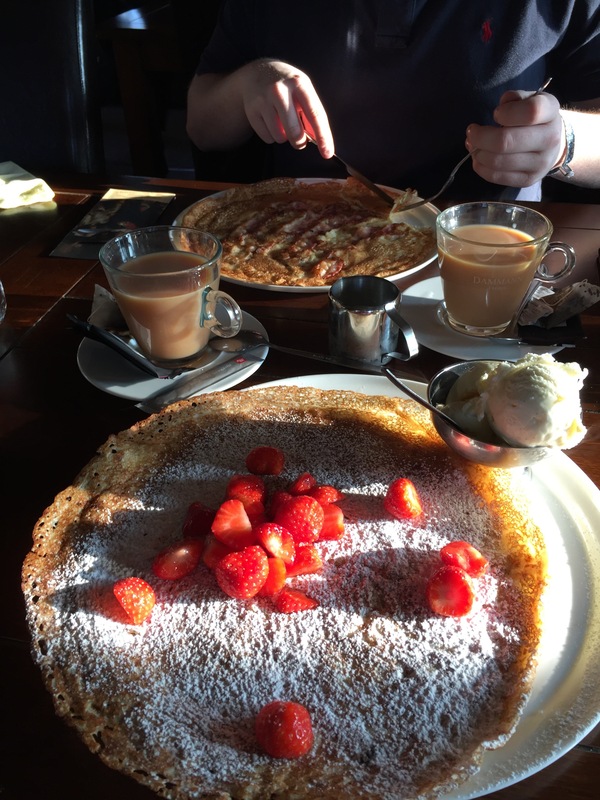 Plenty of layers will mean you will enjoy yourself more instead of diving into the nearest coffee shop for some warmth- although we did stumble across the best pancakes in town on our first morning whilst we hurried to get out of the cold. 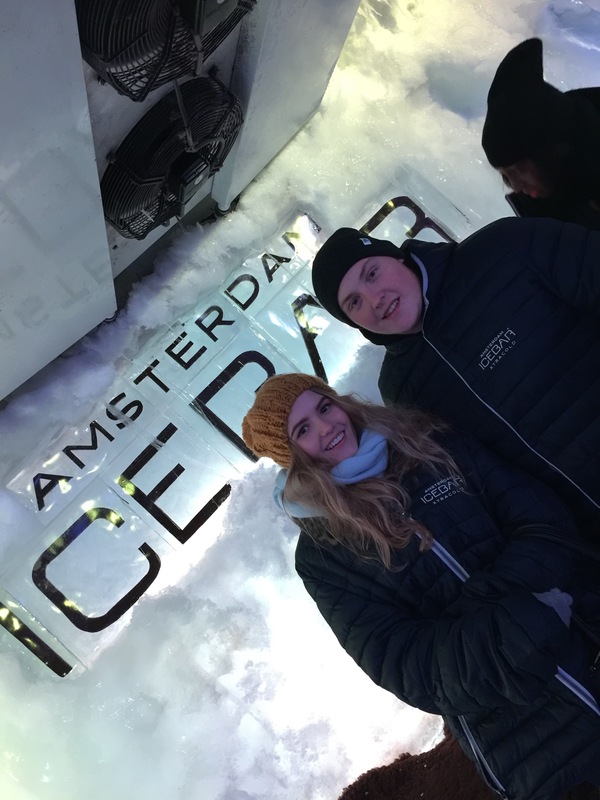 Although freezing, the colder months have their advantages for tourists, for example I had great fun feeling 12 again when I spent an afternoon ice skating on the temporary rink in front of the famous I Amsterdam sign, whilst Josh sat shivering on the side struggling to skate. The yummiest pancakes I have ever eaten at Poffertjeskraam. Finally one of my favourite parts of the whole trip, besides exploring all these streets and canals for hours on end, was going to the Ice Bar , which brought a whole new meaning to being cold. At €18 each it was a slightly more expensive outing but well worth it, as the ticket included both cocktails and beers served in glasses made entirely of ice! As well as that, we received some gorgeous photos to keep of our visit- even though our lips do look blue! For those of you that are interested my holiday read was The Little Book of Hygge which was the perfect little book to cosy down in bed with after a long day of walking miles and miles. It was a very relaxing book which gave me some really good ideas about how to make my room at uni more cosy- which even prompted me to buy a lamp whilst I was away haha. As you can probably tell I thoroughly enjoyed myself and would go back in a heartbeat, it was just the most perfect pre-christmas treat!